J.K. Lasser's Your Income Tax 2015 is the most trusted tax guide on the market, updated for 2014 tax returns. 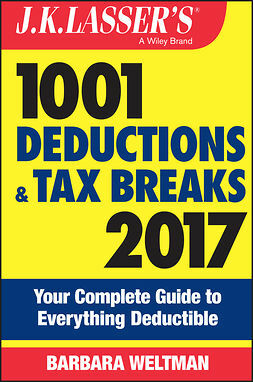 With full coverage of all changes and adjustments to the tax laws—including new deductions and credits—this book provides clear, plain-English explanations that help you decipher the tax code and reduce what you owe. Step-by-step instructions help you navigate forms and worksheets with ease, and over 2,500 money-saving strategies show you what to claim and how to claim it to maximize tax savings. 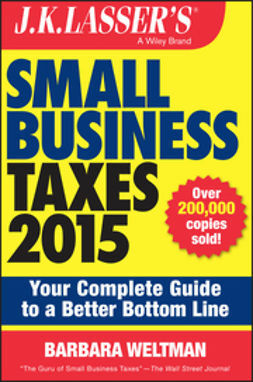 You also get access to the book's companion website, which features up-to-the-minute tax news and tax law changes, tax-planning strategies including help for small business owners, and much more. For over seventy-five years, American taxpayers have made the J.K. Lasser guide the bestselling tax resource on the market. With the perfect blend of expert advice, up to date information, and clear, jargon-free explanations, this book helps the average taxpayer successfully navigate the filing process. A comprehensive topic index and quick reference section help you quickly find the answers you need, while in-depth insight and timely advice help you take control of your taxes. Every year, millions of Americans overpay their taxes simply because the laws are confusing, complex, and constantly changing. 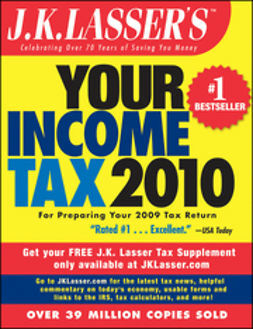 The average American has neither the time nor the inclination to wade through volumes of tax code, so J.K. Lasser does it for you. J.K. Lasser's Your Income Tax 2015 provides the latest information, instruction, and strategies that save you time, money, and headaches when tax season comes around.